Sifu Mario here, I trust you are well. If not, then do something about it! Alright; let’s get to it. Previously I have stated the opinion that yin and yang are not philosophical constructs, but instead the two forces (equated for simplicity to gravity and sunlight) from which polar dynamism creates space/time. This theory is congruent with the electric universe model, a al Tesla. As above so below; so we can infer how this might express itself in the wiring of a human being. It is through the wiring that the energies of the environment circulate through the student. Hence the benefit of Qigong meditation (specifically zhan zhuang). It facilitates this natural circulation through body/mind alignment. Which invites the next question: what is a chakra? Well, a chakra can be likened to a transformer. There are 7 primary charkas that run down the centerline of the body, and like the meridians, they have both a physical (endocrine glands)and non physical (chakra-4 dimensional wave helicoid)presence. The faculties of the mind/heart/soul/blah blah blah (all acknowledged, none defined…which drives me nuts) are attributed variously to specific chakras…and rightly so. What is important to remember in this model is that for someone who is still alive; there is no meaningful distinction between the body/mind. Fixing the wiring will enhance the circulation to the transformers. Body/mind is benefitted. What is a dantien? Well, if you have read down this far I will tell you. With concrete evidence that the meridans and chakras have a physical presence, we can guess that the dantiens do as well. The lower dan tien is likely a sack of fascia that exists where your umbilical cord terminated before you were born. It is a battery, that can be charged. Doing so radically upgrades the constitution, but it is not a risk free practice and certain disciplines must be incorporated into your life to do this safely. 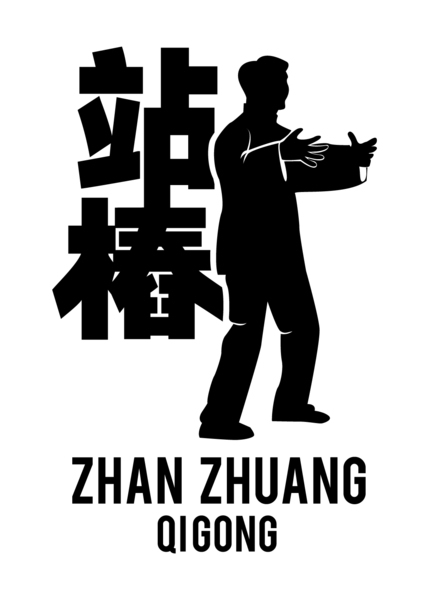 Zhan Zhuang is the foundation upon which one can safely develop “the battery”. The middle dantien exists in the solar plexus area (and probably is the solar plexus). The upper dan tien is often referred to as the 3rd eye. It likely has a physical basis in the pituitary/pineal complex of the brain. I won’t speak in detail about these batteries, as I am not accomplished enough to practice “charging” them safely (heart attack and stroke loom as risks for the impatient)….which means you aren’t either. Someday. So, for the foreseeable future, the Qigong Meditation student “fixes the wiring”, facilitates the flow through the transformers, and then begins to safely develop the lower battery. Even if that was all you ever accomplished in 10000 hours, it would be enough. With a “charged” battery, fully functioning transformers, and repaired wiring you are literally all you can be as a human being. Not too much to ask for eh? This entry was posted in Holistic Health and tagged #chi kung #chi gong, #meditation #health #mental health, #qigong. Bookmark the permalink.